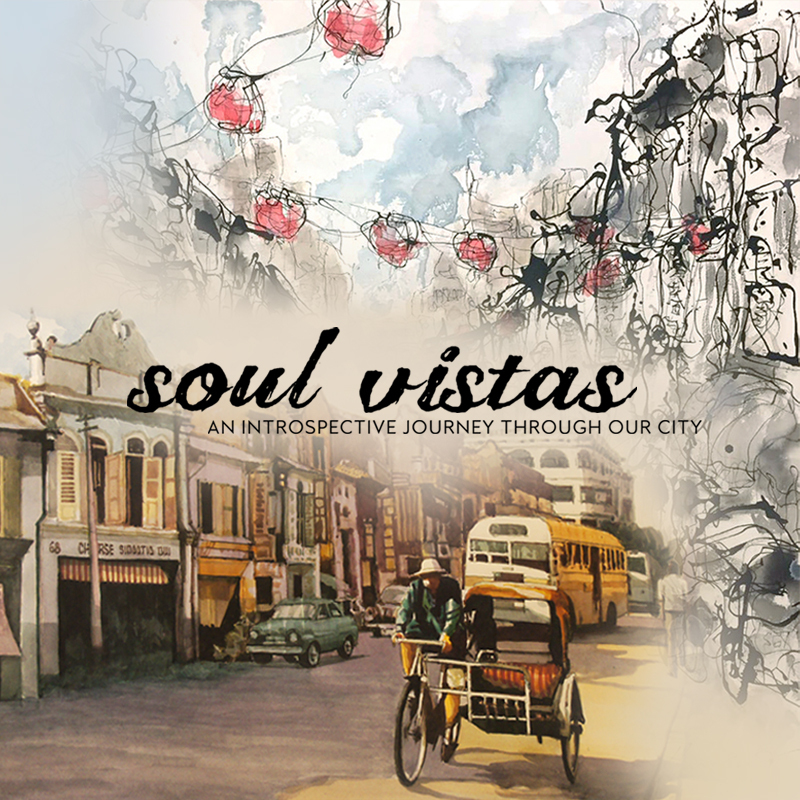 Maya Gallery and The Fullerton Hotel present Soul Vistas: An Introspective Journey through our City, a duo exhibition by prominent Singaporean Malay artists Idris Ali and Jeffrey Wandly, who explore our streets, landscapes and landmarks in watercolour, and ink and acrylic, to capture the essence and soul of our city. Painting Singapore's street scenes in watercolour for the past 55 years, Idris Ali's latest works, especially on spiritual monuments, reflect not only our religious diversity, but also the soul of the city. Alongside his paintings, are Jeffrey Wandly's intimate interpretation of the energy and vitality of the places around us. Using fluid strokes in ink and acrylic on canvas, his deep level of connection and familiarity with the built environment stem from his background in architecture and project management. Together, both artists document Singapore's changing landscape, charting a visual diary of our heritage. The exhibition is supported by the National Arts Council. Part of the proceeds from the artwork sales will be donated to Lembaga Biasiswa Kenangan Maulud (LBKM) for its bursary and scholarship programme for needy students. The exhibition is on view from 21 September till 24 October 2017.